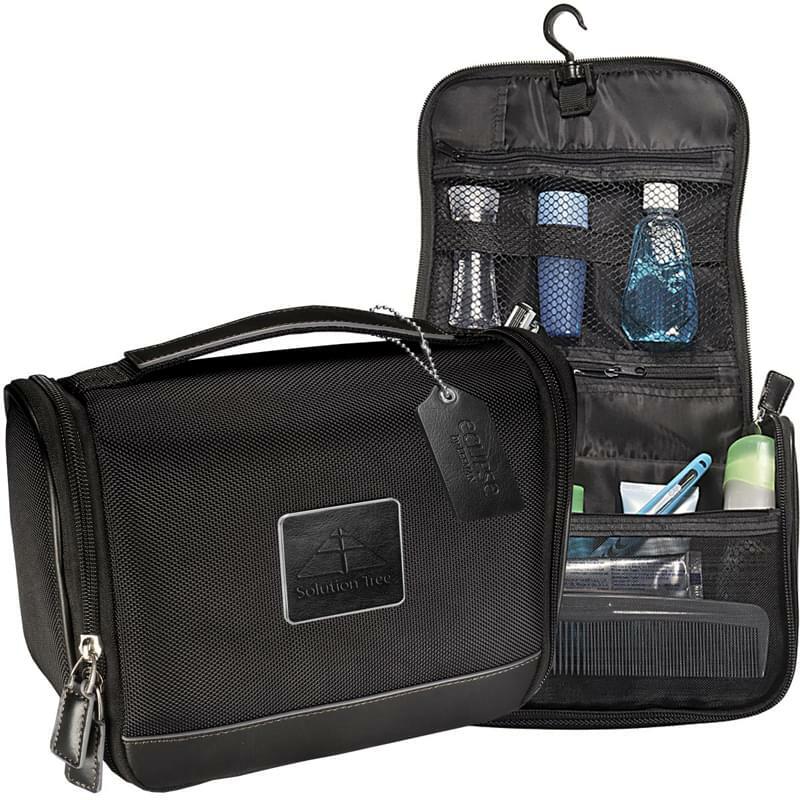 • 1680D ballistic Nylon toiletry travel bag with PVC backing, split Leather accents and 210D lining. • Zippered main compartment with mesh pockets and elastic holders. • Convenient hook for hanging.